WASHINGTON (AP) — A Democratic House committee chairman on Wednesday invited White House aide Stephen Miller to testify before his panel and “make your case” for President Donald Trump’s aggressive policies cracking down on both illegal and legal immigration. 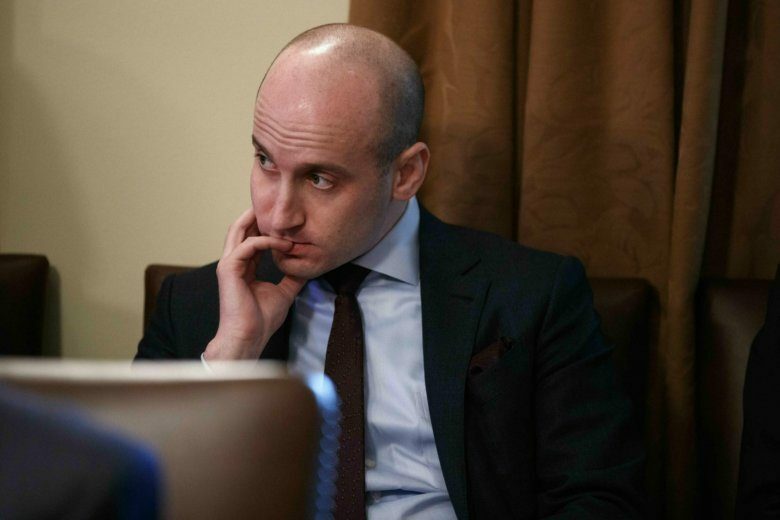 The combative Miller is one of the White House’s most conservative and influential voices in pushing moves that Trump has taken to curb immigration. He engineered Trump’s Muslim travel ban and is widely viewed as the driving force behind the administration’s hardest-line immigration policies. The White House did not immediately respond to a request for comment. Past administrations have often refused to send White House aides to testify before Congress, though there have been exceptions. Should such a session occur, it would be bound to ignite fireworks over an issue that has repeatedly produced heated clashes between Trump and congressional Democrats. Trump has made an immigration crackdown a cornerstone of his appeal to conservative voters, while Democrats — led by liberal and Hispanic lawmakers — have been just as adamant in opposing his moves. “I understand that you may not want to submit yourself to rigorous questioning,” Rep. Elijah Cummings, D-Md., chairman of the House Oversight and Reform Committee, said in his letter to Miller requesting his appearance. Cummings cited the separation of migrant children from detained parents, a policy Trump withdrew under fire last year; Trump’s threat to move detained migrants to “sanctuary cities,” communities that limit cooperation with federal immigration authorities and that are mostly in Democratic areas; and the removal of top Homeland Security officials, including Secretary Kirstjen Nielsen. Cummings said he wanted Miller to testify to his committee on May 1 and gave him until April 24 to respond. Meanwhile, Senate Homeland Security Chairman Ron Johnson said he is working on legislation to help stem the flow of migrants at the U.S.-Mexico border. Johnson, R-Wis., said he wants to toughen the initial standard for asylum seekers to “more than a probable chance” they’ll experience violence or persecution in their home countries. Right now, if people can demonstrate “credible fear,” they’re allowed to stay in the U.S. as their cases progress. Johnson said in an interview that asylum cases must be adjudicated faster and that asylum seekers should be detained while they wait. Johnson visited this week with migrants in Border Patrol custody on the southwestern border. He said most were seeking a better life and said that while he’s sympathetic to their circumstances, that doesn’t mean they should be granted asylum.